We landed in La Habana pretty late. 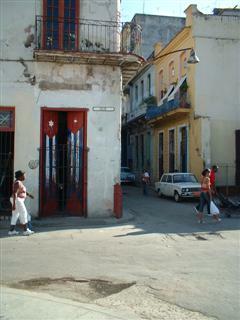 After an uneventful taxi trip, we arrived at our casa particular in Habana Centro. 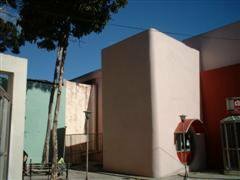 Casas particulares are private houses given permission by the State to accomodate foreign tourists. Prices are usually lower than those of hotels. We knocked on the door and a woman on the balcony lowered the key on a piece of string. It turned out that the owner of the house was away and we could not stay there. I thought, "Here we go - the joy of Cuban organisation." Luckily the woman knew someone round the corner who could rent out rooms to us. Woke up early. Went to check out La Habana Vieja. Full of buildings desperately in need of renovation, this old part of La Habana was nice, but I guess I was expecting something that transcended normality almost. We went to el Museo de la Revolucion, which was interesting, if only for the way the revolution was being portraited. Also visited the Havana Club Rum Factory, and the Bacardi Building. The latter has nothing to do with rum nowadays, but the top of the building did offer a great view of La Habana. Incidentally, being a state-owned company produce, Havana Club is the preferred rum in Cuba. The start of our road trip. As expected, we got terribly lost. Map was useless and road signs were pretty much non-existent. On Cuban roads, revolution slogan signs are deemed more important than road signs. In the end, we figured out that the only way to get around Cuba was to ask people. Hitchhiking is a very common practice in Cuba. They even have officers, known as amarillos (yellow) after the colour of their jackets, organising the hitchhiker queue. These hitchhikers proved to be extremely resourceful and friendly even after we had told them we would not be able to take them. We arrived in Santa Clara a couple of hours after schedule. 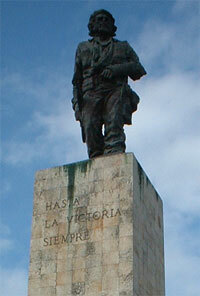 After visiting the Che's Mausoleum, we promptly left for Camaguey. The sun was quickly going down. Having to tackle potholes, upcoming traffic and cyclists, driving in the dark in Cuba is nothing but suicidual. My hand held firmly to the handle on the car door until we made it to our casa in Camaguey at around 10pm. The owner of the casa recommended a palador (private restaurant) called La Terraza. Much to our amusement, in the corner of the restaurant sit a fat guy, who would wake up every now and then from his dozing to play a tune on his guitar. We had a pretty good and cheap meal. After breakfast, we chatted with M, son of the casa owner, for a whole hour. This was our first proper extended conversation with any Cuban. It all started with me casually asking him what time he usually started work. It turned out that his working hours were quite "flexible". He spoke good English, and he went on to explain to us how the government was strangling private businesses, which included casas particulares and paladores, through heavy taxing, and how working in State-run companies would earn you very little money unless you were working for the government itself. Apparently, an average Cuban gets about 20 USD a month. (However, since a lot of basic necessities are being provided at extremely low cost by the government, people generally have enough to lead a pretty decent life.) We also went on to talk about America, the embargo and how Fidel was blaming everything on America. He was very uncertain about the future of Cuba as, on the one hand, a lot of young people believe the end of the current dictatorship will usher in a new taste of freedom they have been longing for, on the other hand, the introduction of an American-style capitalistic economy may destroy the social safety net that so many people depend on. Just like a lot of Cubans we were about to meet during the next week or so, M was very prepared to talk about the government. However, they would accept the reality and they would decide to have a happy, if sometimes slightly frustrating, life. The conversation left me questioning whether the socialistic system in Cuba would have survived up to this day, if Fidel and co had not done such a good job in putting up revolutionary signs. We spent the morning wandering around the pretty town of Camaguey. It was bustling, with people getting on with their everyday business. 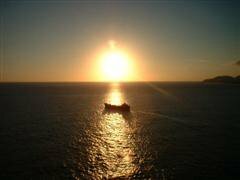 We decided to set off for Holguin early in the afternoon. On the way to our car, we caught M leisurely strolling through town with his girlfriend. Holguin was quite quiet. We went up to the top of a small hill, which offered a panoramic view of this little town. On the way to the centre, we came across a band rehearsal in an empty building on the main "high street", blasting out funky Cuban son-style music in the Cuban heat. 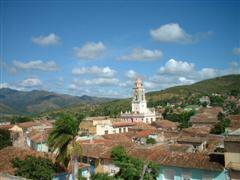 In the afternoon, we set off for Santiago de Cuba, which was the furthest point of our road trip. We arrived in good time, and after dumping our stuff at the casa, we drove to La Castilla de Morro. 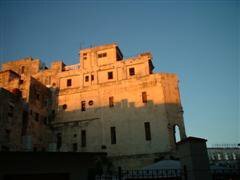 It was a castle on the coast, overlooking the Caribbean Sea, and we stayed there till sunset. In the evening, we ventured into the centre, and after fighting off numerous jinateros (tourist hustlers, offering to take tourists to restaurants, bars...) we finally ended up in a basic state-run no-nonsense restaurants and had our first taste of "real" Cuban food - disgusting-tasting pizzas. We had 5 pizzas (we were real hungry) and two beers, and the bill came to less than 3 USD. If Cuba has failed miserably in the area of culinary arts, it has succeeded in giving the world good music. After the atrocious meal, we went to a music bar known as La Casa De La Trova. The band was excellent, but it was the audience's dancing that totally took my breath away. The rhythm, the spontaneity, the pure passion. Cubans are born to dance. The sun was blazing and there was not a single bit of wind. The heat was quite unbearable. We spent the day visiting different museums, including a santeria museum (santeria is a mix of catholicism and African belief, principally yoruba belief, widely practised amongst the black population in Cuba. An important deity is Orisha), a history of film/photography museum, and another not so interesting museum housed in what had had previously been a Bacardi family's building. One thing that struck me about the last museum was the sheer number of workers inside, who happened to be not doing much. We came to the conclusion that many jobs in Cuba must have been created for no other reason than to keep the unemployment rate low. We then spent the rest of the afternoon sitting by the coast of Santiago bay discussing the need for social integration, and amongst all things, the morality of prostitution. After sunset, we wandered back into town. As we were approaching the Bacardi building, we heard loud reggaeton beats pumping out of a soundsystem (more like a pair of old giant speakers) just round the corner. Some people have decided to throw a street party right in front of the Bacardi buillding. How cool is that! For those who have not heard of the term reggaeton, it is a very popular form of "urban" music amongst Latin American youths. With a very distinctive beat, it seems to have drawn influence from American HipHop, Jamaican dancehall as well as more traditional Latin music. After dinner, we watched some students perform modern dance in the main square. At around midnight, we went to another music bar called Los Dos Abuelos to listen to more traditional Cuban son music. I was told later that I had slept through most of the performance, apparently. We left early to drive to Bayamo, which was a tiny town. After being refused entrance to a few restaurants on the basis that we were wearing shorts (how fascist! ), we once again ventured into a no-nonsense "real cuban food" restaurant. No pizzas this time, and we were rewarded with a rather tasty meal consisting of pork chops with rice and beans, which came to just over 1 USD for three people. There was some hope in Cuban cuisine after all. We arrived in Camaguey just before sunset. Being a Saturday night, the town was very much alive, with people trying to outplay each other on their home stereos (in terms of volumn). We ended up talking to some friendly Camaguey locals in a bar. There we met a former Cuban Karate champion (1984 I think). The guy was a 4-dan black belt, and as soon as we learnt that I practised a bit of Kung Fu, he got very excited. Unfortunately, my poor Spanish did not allow me to have a very constructive conversation with him. Nonetheless, we exchanged addresses, and I intend to write to him soon, in better Spanish. Afterwards, we followed the music, and ended up in a massive street party, where they were playing more reggaeton tunes. There were loads of people, but it was not much of a party as most people were just standing still! Trinidad is in the south of Cuba. It is a small but pretty, well-preserved colonial town, not far from a gorgeous Caribbean beach, la Playa Ancon. Having come across very few tourists so far in our trip, the amount of non-Cubans in Trinidad took us by surprise. We spent a couple of hours on the beach until sunset, which unfortunately coincided with the sand fleas' dinner time. In the evening, we went looking for food. Despite the amount of tourists, it took us a while before we found an eating place. There we met the clumsiest waiter ever. He managed to drop beers on the floor on two separate occasions (once pouring it all over Gavin). In the end, they had to stop him from serving us food! We were defeated by the heat. The whole afternoon was pretty much spent doing nothing. In the end, we decided to go to the sea again. We had a most delicious dinner at the casa. The owner, C, made us a lavish meal of fish, shrimps and lobsters. We were later told that the comsumption of lobster was illegal in Cuba, and he had to buy the lobster from the black market. After dinner, we chatted for ages with C, his wife and two swiss girls who were also staying in the casa. The conversation was not particularly inspiring (again my poor Spanish was to blame), but we were very much taken by the genuine hospitality of C.
Revolutionary slogan of the day: Did not come across any in Trinidad! Felt pretty sad to have to say goodbye to C. Long drive back to La Habana. The weather was turning bad, and the Gulf of Mexico was relentlessly battering the Malecon. One could only imagine what it must be like during hurricanes. We had dinner in the most famous restaurant in Cuba, La Guardia, where they filmed some of the scenes for the movie La fresa y el chocolate. The decor was very quaint. The food was amazing. Most Cubans would never get to step inside. 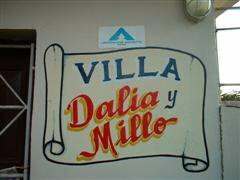 Personally, Vinales was the town I had wanted to visit most. I had previously seen photos of this countryside town dotted with limestone hills (mogotes). And as soon as I caught the first glimpse of the place from inside the coach, I knew I was not going to be disappointed. We found our casa, and the owner J, being ultra friendly like the rest of Cuba, found us a mountain guide straighaway. Our chain-smoking guide took us trekking/rockclimbing through the forest straight to the heart of one of the little mountains around the town centre. The rock formations inside the mountain were breathtaking. The trek was much more challenging that we had expected as there were no foodpaths whatsoever, and it turned out to be a truly exhilarating experience. In the evening, we had dinner at the casa. Once again, we ended up chatting with the owner's family, and gained more and more insights into the very unique way of life of los Cubanos. Went to Los Cuevos de Santa Tomas, which was the biggest cave system in Cuba. It was impressive and the guide was very funny. Walking through the caves was like walking on another planet altogether. On the way back to town, we stopped by a mountainside mural, which was huge yet disappointing. In the afternoon, we went riding around the countryside. I had never been on a horse before, and I felt slightly uneasy at first, but excitement soon overcame fear. Riding through the fields, with the magnificent mogotes all around, as cliche as it may sound, I felt a very strong sense of freedom, the kind of freedom you can only achieve through solitude. Unfortunately, all good things had to come to an end, and after two hours on a horseback, my arse was starting to hurt. Afterwards, we went up to the Hotel Jasmine to catch supposedly the best view of Vinales. 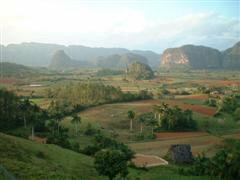 If Vinales offer the best view in Cuba, Hotel Jasmine offers the best view in Vinales. It was beauty beyond description. Arrived back in La Habana. We spent one hour waiting for our turn to exchange money in the bank. It was exactly one hour as they had a ridiculously tacky eletronic cuckoo clocks and the cuckoos came out twice. In Cuban banks, instead of queuing up, people just sit around. Coming into the bank, they would shout, "who is last? ", to join the "queue". In theory, this is a great system. People just have to remember the person in front, but like all great ideas, implementations sometimes fail. We visited Las Partagas, a famous cigar factory in Habana Centro. Here we saw the biggest production line (all manual of course). Apparently, people got paid depending on the amount of cigars they could produce per day. A bit counter-revolutionary, dare I say? Cigars are expensive things considering that each is literally no more than just four tobago leaves rolled together, plus a little label stuck on it. Went to El Museo de las Bellas Artes in the afternoon, but our tiredness was starting to take its toll, and we were not really in the mood to enjoy the fine art. Gavin and Arry went to Club Tropicana in the evening. I did not go. Instead I spent the evening chatting/watching TV with the casa owner and her brother, who happened to have fought against the Somalians for the Ethiopians (then communist) 20 years ago! He told me amazing stories about Ethiopia. During the course of the evening, we watched a baseball game (boring...), two documentaries and Phantom of the Opera on TV. 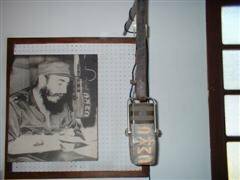 In Cuba, they like their commentaries. Some dude would come on TV and discuss the artistic merits and social messages of a movie or a documentary before it starts. Both the brother and I thought it was a waste of time. Last day in Cuba. We decided that we had totally fallen in love with the country, and he would make the most of the final day. 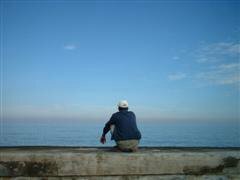 To get to Vedado, we walked along the Malecon, where we saw a lone old man sitting by the gulf (of mexico) playing his trumpet. Where else would you see that! We visited the Necropolis Cristobal Colon, which was basically a cemetery housing some of the most ridiculously pimped up grave mounments on the face of this earth. Very impressive, but not really my cup of tea! For lunch, we had the blandest spaghetti we have ever tasted in our lives. We were totally baffled. We then visited the grand Hotel Nacional before having our last supper in Cuba in our favourite pizza restaurant in town, El Prado y El Neptuno. (They do surprisingly nice pizzas!) The waiters were all dressed up as clowns, pirates, arabs and china men as it was Christmas eve. Advertising was pretty much non-existent in Cuba, and we had almost forgotten about Christmas. It was really nice to see how Christmas in Cuba was one big fiesta and not a huge marketing campaign. At the airport, we were brought back to reality by the rude staff. What do I think of Cuba? I love the place for its natural beautiful. I love the people for their genuine friendliness, their laid-back attitude, their passion to express themselves through chit-chats, through music, through dancing. I look forward to going back to learn more about the country, to climb the mountains in Vinales and to learn how to dance like los cubanos. Politics is a funny topic. Even though most people seem to be pretty happy to discuss socio-political issues in private, there is a huge amount of information control and propaganda going on. Even travelling to other countries have been made difficult by the State. After 47 years of revolution, Fidel's view does not seem to have changed a bit. (With all the brainwashing, people seem surprisingly clued up about what is going on outside Cuba. I am sure Fidel would take credit for having created an excellent educational system :-) ) On the other hand, I am glad to have seen a working socialistic system where people are generally quite happy, well-cared and proud, where life is not just about earning the most money, where there is comparatively little visible poverty. (Incidentally, struggling to survive after the collapse of USSR, the Cuban government have had to legalise the dollars, effectively creating a two-tier economy, where people who have access to the dollars, such as people in the tourist industry e.g. 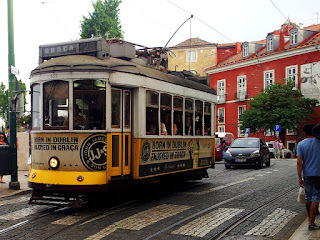 taxi drivers, guides, restaurant workers, prostitutes, are much richer than those who don't.) Can true socialism ever lead to democracy, or even, can true democracy ever lead to socialism? What is just anyway? The freedom to speak against the State? The freedom to not have to starve? The freedom to write this very paragraph I am writing now? The freedom to visit Cuba (which incidentally is illegal for Americans)? My experience in Cuba has left me asking a lot of questions, most of which I do not have answers for. There is one thing I can say for sure though. 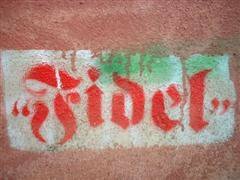 Cuba is going to undergo a dramatic political shift after Fidel, and Cuba will never be the same again. Viva Cuba! I feel sorry for the clumsy waiter. I once dropped a bottle of Budweiser on my customer when I was working as a waitress in the US. I'm just coming from cuba and I appreciate your notes and how you discovered this country. I' have one personal question: Do you remember the name of the cuban karate champion you met in Cuba ?